In this article 'write an essay - 5 tips', you'll get more information and details help with your career knowledge, feel free to copy or share. Every day you get to see multiple essays. You read them, consciously and above all unconsciously. The essay is a master in disguises. It dresses up as a longread on the internet, an in-depth article in the newspaper or a review in a magazine. Anyone who delves into the essay soon notices that it can be funny, intriguing or exciting. In addition, it is a very accessible genre. You do not need to know anything about the development of a character or plot to begin with. You have enough of yourself and your own experience. 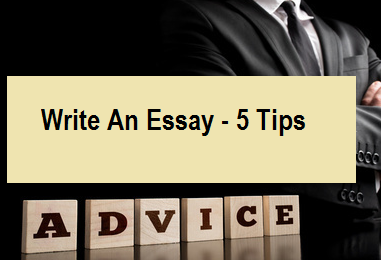 Below you will find 5 tips on how to write an essay. 1. Start Your Essay With "Wonder"
An essay comes from wonder. Something or someone attracts your attention. Every subject, from a houseplant to a gravestone, can be a starter. While writing, you try to find out why that one thing stays with you. What does that astonishment say about yourself, what does it say about the context in which the incident takes place? Pour your wonder into a question. Use this question as a starting point and a red thread in your essay. Once you have formulated this question, your senses will become more receptive to impressions relevant to your essay. 2. Middle Your Essay With "Curiosity"
A common thread is useful, but an essay is not a signposted walking path. Go out, hit side roads and get lost. 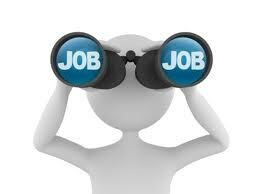 You will find a new insight in a corner that you will pass by if you only look at the arrows. A possible answer to your question can be found everywhere: close to yourself, in a conversation, a conflict, a work of art or during a walk through a city or forest on the other side of the world. Let your curiosity take shape and make a reader share your search. Tell him about your findings as you would against a good friend at home on the couch, on the phone or on a stool in the pub. 3. Slot Your Essay With "Stimulation"
An essay can end with a conclusion, but that is not necessary. Maybe you do conclude that there is no (yet) conclusion? That story is also worth telling. A subject is alive. Meanings are dynamic. Conclusions are bound to time and place. In short, conclusions are provisional and relative. Focus yourself rather on the road to a final paragraph or decision. A conclusion follows from what has been said before you. A successful essay stimulates a reader to think about the subject after the last sentence. Show yourself. An essay is colored by his maker. Confess therefore color. What do you really think about the question that lies before you? Is your opinion compatible with the convention? Fine, explain why. Do you hold a different position? Also good, tell why you think so. Stay sincere and then you can even make the most bizarre twists in your head plausible to a reader. Do not make an essay an ego document. The I can not get in the way of a subject. As an author you are the eyes and ears of the reader. The essay calm, even before your first I 've penned, already on your shoulders. Read how other writers do it. Do you like their narration and the way they develop a thought or not? That says a lot about the essayist that you are yourself. Each essay is an opportunity to immerse yourself in a fascinating subject for a while undisturbed. Enjoy it and be successful!